The Aircraft Tool Kit is ideal for kit builders who plan to assemble sheetmetal aircraft like the RANS S-21 Outbound. 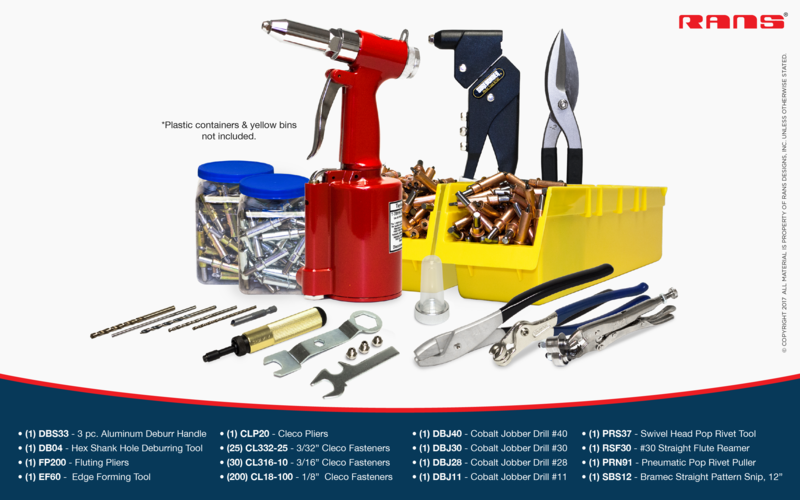 It comes complete with a top quality pneumatic blind riveter, a swivel-head riveter, fluting pliers, an edge forming tool, and more! (1) SBS12 - Bramec Straight Pattern Snip, 12"